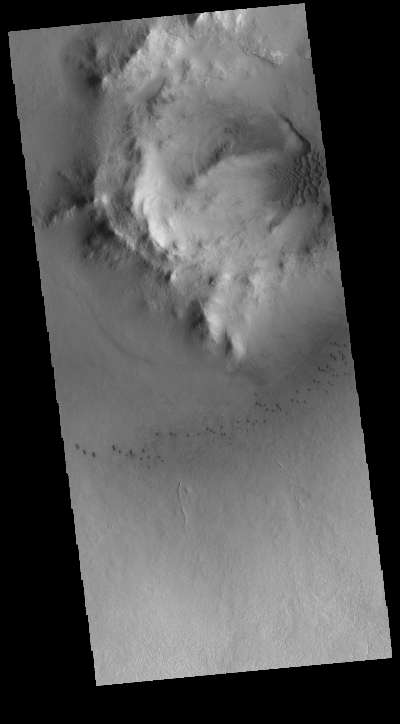 Milankovic Crater is located in central Arcadia Planitia. This VIS image shows small sand dunes on the crater floor, and larger dunes within the central crater peak/pit feature. With a diameter of just under 120km, Milankovic Crater is the largest crater in the region.